AirDry Car dehumidifier Classic for various applications against rust, mould and mustiness. Moisture absorption: about 800 ml. Available in different odors, like classic. 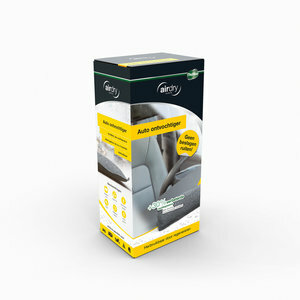 AirDry Car Dehumifidier Classic is the centerpiece of our airdry product range. Like a sponge, airdry draws and then locks in moisture, using the contained action granules (non-dripping system). With its weight of 1 kg AirDry CLASSIC can absorb up to 800 ml water. This makes airdry the most powerful car dehumidifier available of its kind. 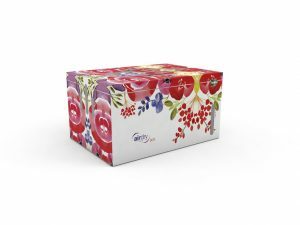 The upper side of airdry is made from a non-woven fabric, which becomes noticeably damp through moisture absorption. 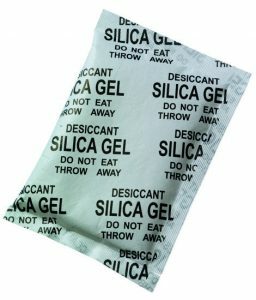 The underside is made of plastic, preventing moisture from being transferred downwards.